There are 21 reviews of L'Essence de Cerruti. Not feeling this one, one bit. Opens up floral and powdery, reminds me of Diesel Fuel for Life Spirit, or YSL L'homme Parfum Intense. Very aldehydic, powdery, floral, just not something I want on my skin. If I can't enjoy the opening or in this case find it overly feminine, I am not gonna wait around for the dry down in most cases. Now I see why this goes for 10-20 bucks online. I feel it was mislabeled and should be for women. Major flop, from an already not so good fragrance house. I'd almost forgotten about this one. As once-Basenoter Shamu noted on his blog, this provides the effect of toothpaste smeared on recently-cured leather. It sounded like it could be within my sphere of interest, but no. The opening was not too bad, but the leather accord - I think aided and abetted by the saffron - brought me out in palpitations. It's so interesting to read the comments below as describing the overall effect as "comforting" and the leather accord as barely there (pace Colin), when my experience is diametrically opposed. Well, I'm not interested in arguing the toss about it. Cerruti Essence doesn't suffer from quality issues, in my view, but from such an uncompromising take on hide that I couldn't countenance it, and I would go out of my way to avoid it in future. If Bottega Veneta is redolent of the nicest Italian businessman you've ever met, Essence brings to mind the type that is too cool to speak to you and never takes off his sunglasses. Essence de Cerruti opens as a heavily synthetic sort of balsamic musk blend, kind of creamy and minty, with something smelling like fresh violet and sweet woods (imitation sandalwood, imitation cedar). I surely get amber, and also a fruity-citrus note, but I completely miss the leather initially. Just a quite nondescript, juvenile sweet-creamy-woody blend with a toothpaste-like mint and peppery vibe and some generic crisp wood on the base. And a terrible feel of clumsiness and rush, as if Antoine Lie got the brief for this the night before the final delivery – although honestly that’s the feeling most of his compositions give to me. A complete lack of interest, direction, inspiration. A shrug in a bottle, which doesn’t even smell that good – quite cheap indeed on the contrary, but not enough to pass it as some “futuristic synthetic avantgarde”. Just cheap and generic. As a side consolation, on the drydown there’s some faint rubber resembling to leather – the cheapest contemporary leather you may think of, in line with the rest of the fragrance. I quite like, or at least respect Cerruti usually, but allow me to “meh...”. Leather, amber and woodsy notes well blended. Good choice for formal occasion but sometimes I felt it too strong. One thing for sure: this is Italian. Give it a try. It's that time of year when the TV ads feature their seasonal over-representation of mid-range aspirational fragrances. And sofas. Both appear to offer positive life-changes, albeit separated by a decade or two: the former, willing bedmates for gorgeous yet glum youngsters; the latter, a family of fixed grins for comfort-seeking thirty-somethings. Should finances not stretch to either festive extravagance, the rightly inexpensive L'Essence de Cerruti might hint at better times around the corner, combining as it does the scent of a leatherette sofa with that sweet nondescript base common to innumerable designer favourites. 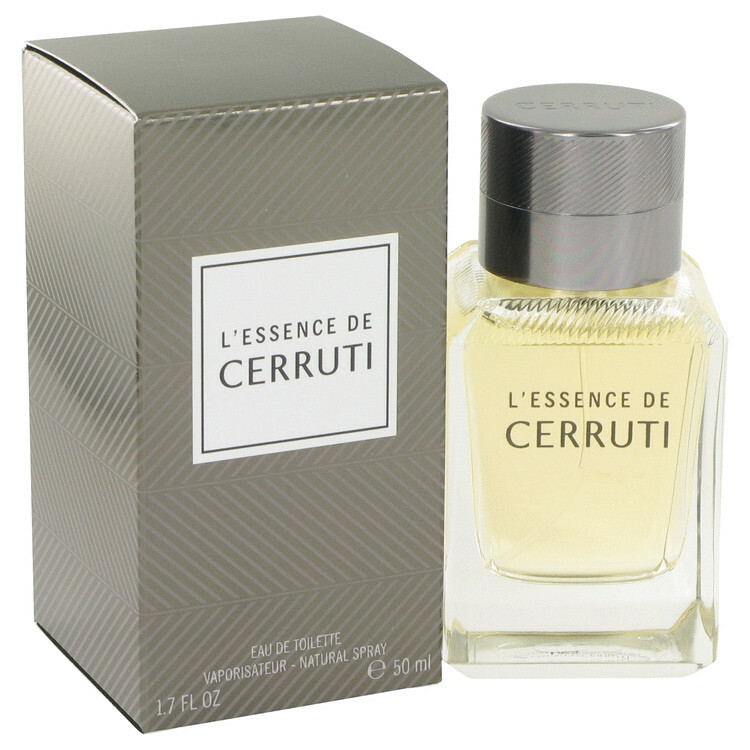 There are no member images of L'Essence de Cerruti yet. Why not be the first?